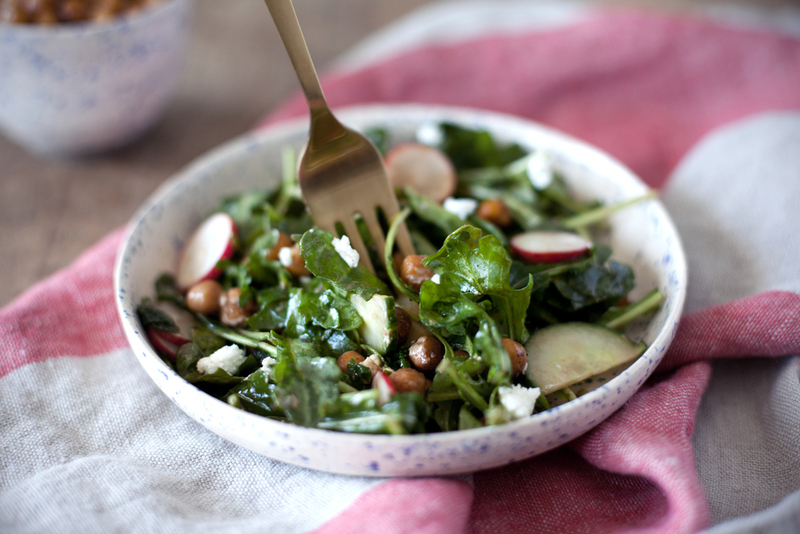 because it is almost everyones favourite swimsuit season, today i am trading in my slice of cake for a delicious spring salad! 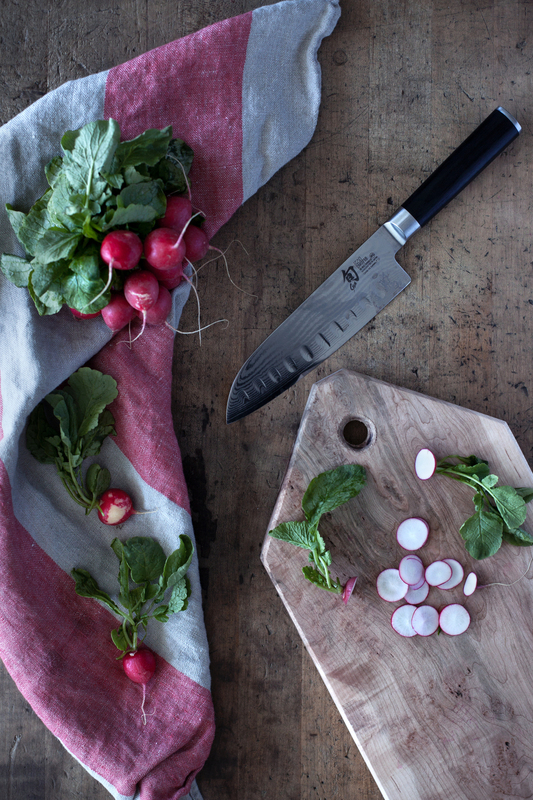 radishes are one of my favourite vegetables to include in a salad because of the crunch factor. i eat them like apples to be honest, is that weird? idk. the dressing of this salad features various maison orphee oils & vinegars. a company who i feel in love with after i was on the hunt for the perfect dijon & whole grain mustard. bonus points because maison orphee is canadian & the sunflower oil + mustard are both produced in quebec city! the recipe for the dressing came from the maison orphee app where you can find various salad dressings & marinades. i decided to keep this salad vegetarian & use chickpeas as the protein. a cost friendly & vegetarian alternative to meat, but feel free to add some grilled chicken breast to the salad. lastly, because plain chickpeas are bland & boring, i marinated them in balsamic vinegar before roasting them. 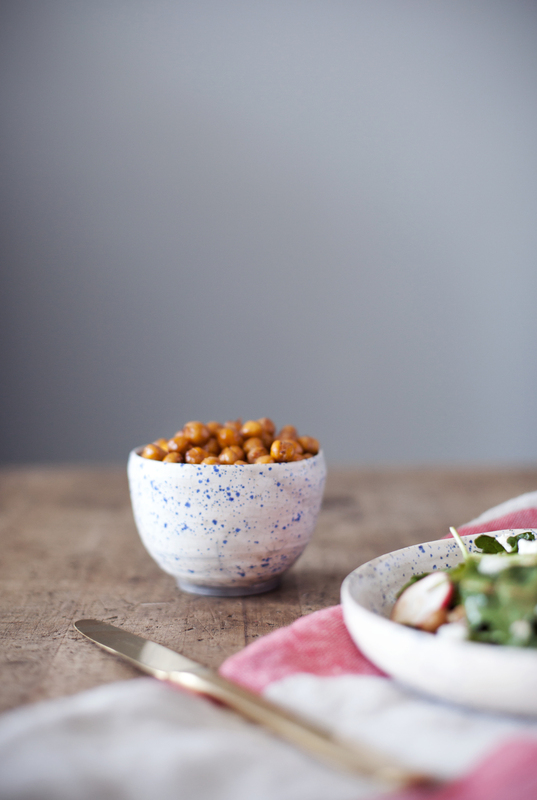 the leftover chickpeas make for a tasty healthy snack, enjoy! in a mixing bowl add the chickpeas & balsamic vinegar. let sit for 30 minutes. strain the vinegar & add the olive oil, salt + pepper. on a lined baking sheet roast at 350 degrees for 25-30 minutes. stir once in between. in a mixing bowl or salad dressing jar add the olive oil, sunflower oil, balsamic vinegar, dijon mustard, brown sugar, salt & pepper. whisk/shake until well combined. 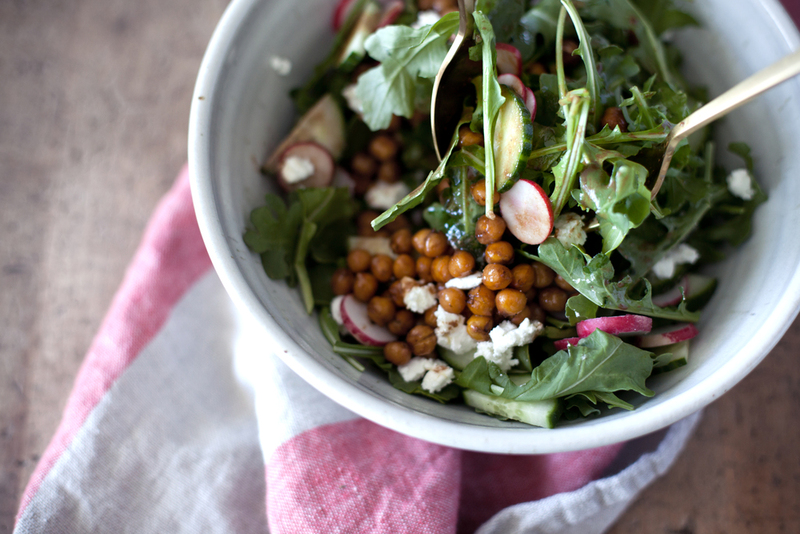 in a large serving bowl add the arugula, cucumber, radishes, chickpeas & goat cheese. toss in the fresh balsamic dressing & serve immediately. this post was created in partnership with maison orphee. i used the following maison orphee products to create this recipe: sunflower oil, extra virgin olive oil, balsamic vinegar, grey sea salt & dijon mustard. download the app here to get 100+ bbq marinades & vinaigrette recipes!